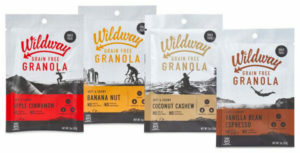 This month, we have Wildway Granola stocked in our snack baskets. We are Wild about Wildway Granola! Well said, Wildway, well said. Check their products out here! You should also check out the Wildway of Life journal, which is filled with recipes that includes the different granola flavors. Check them out here!